Enable full access to all three of our science apps on all your IOS and Android devices. Schools: If you wish to buy for more than one student then please enter the number of licenses you would like to purchase. We will then send you a coupon that each student can use to enable their account. Purchase order options are available at checkout. 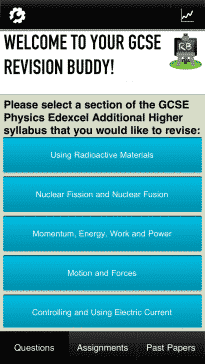 You can now get all of your Revision Buddies Science apps at the touch of a button! 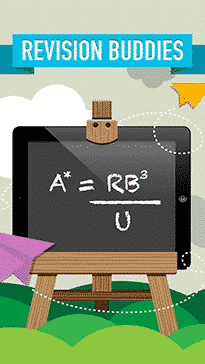 Download our GCSE Physics, Biology, and Chemistry apps in this convenient and affordable bundle. Three apps for the price of two, save more than 30% on the cost of buying the apps individually. 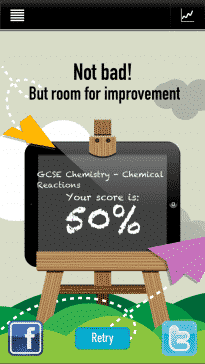 Written by teachers, our apps build confidence, knowledge and understanding in preparation for your GCSE exams. Through 1000s of comprehensive self-assessment tests as well as many additional features to enhance learning and provide a fun, effective and enjoyable revision environment, we will help you work towards achieving the best grade possible. Take charge of your revision and use our apps anywhere, anytime. Whether you are studying higher or lower tier, OCR, Edexcel or AQA, our creators have dedicated their time to ensuring that you can adapt these apps according to your requirements so that you get the most out of your revision time. 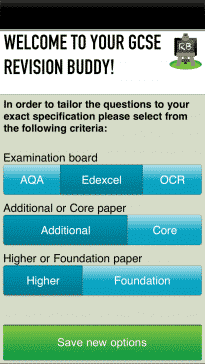 – Choose the Double or Triple award topics of the AQA, Edexcel or OCR 21st Century exam boards (grades 9-1). – Select questions from the Higher or Foundation tiers. 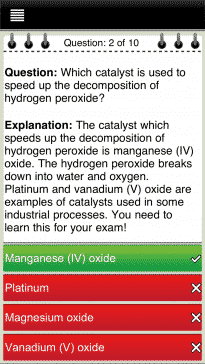 An engaging, interactive and effective revision app. 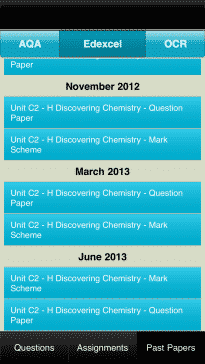 Have a look and see how we can transform your students’ revision experience. Like what you see? Get in touch to see how we can provide bulk orders direct to your students, regardless of their device, faff free. Our author, Dr. Hanna Beyer is a qualified teacher and holds a PhD in Chemical Biology. As well as her qualifications she helps students with online tutoring for their exams in all areas of science. Prior to her teaching career, she contributed to science academia as well as working as a research and biomedical scientist. Hanna is passionate about her subject and we have worked hard to ensure that all content is engaging as well as accurate to the GCSE Science exam requirements. What is the genome and what does it do? How is genetic information inherited? How can and should gene technology be used? How do organisms protect themselves from pathogens? How can we prevent the spread of infections? How can lifestyle, genes and the environment affect my health? How can we treat disease? How do producers get the substances they need? How are populations affected by conditions in an ecosystem? What happens during cellular respiration? How do we know about mitochondria and other cell structures? Should we use stem cells to treat damage and disease? How do substances get into, out of and around our bodies? How does the nervous system help us respond to changes? How do hormones control responses in the human body? Why do we need to maintain a constant internal environment? What role do hormones play in human reproduction? What can happen when organs and control systems stop working? How was the theory of evolution developed? How is biodiversity threatened and how can we protect it? What does the solar system consist of? How much energy do we use? How can electricity be generated? How can we describe motion? What is the connection between forces and motion? How can we describe motion in terms of energy transfers? How can radioactive materials be used safely? How can radioactive material be used to provide energy? How does energy transform matter? How does the particle model explain the effects of heating? How does the particle model relate to material under stress? How does the particle model relate to pressure in fluids? How can scientific models help us understand the Big Bang? How has the earth’s atmosphere changed over time, and why? What is the evidence for climate change, why is it occurring? How can scientists help improve the supply of portable water? How have our ideas about atoms developed over time? What does the periodic table tell us about the elements? How do metals and non-metals combine to form compounds? How are equations used to represent chemical reactions? What are the properties of transition metals? How are the atoms held together in a metal? How are metals with different reactivities extracted? Electrolytes and what happens during electrolysis? Why is crude oil important as a source of new materials? How is data used to choose a material for a particular use? What are the different types of polymers? How do bonding and structure affect properties of materials? Why are nanoparticles so useful? What happens to products at the end of their useful life? How are chemicals separated and tested for purity? How do chemists find the composition of unknown samples? 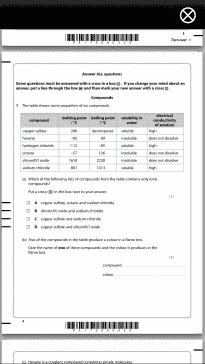 How are the amounts of substances in reactions calculated? How are the amounts of chemicals in solution measured? What useful products can be made from acids? How do chemists control the rate of reactions? 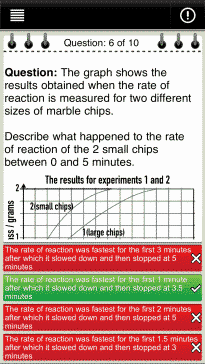 What factors affect the yield of chemical reactions? How are chemicals made on an industrial scale? Very useful for when you need to jog your memory before an exam! Amazing app would be much better if it was totally free though!